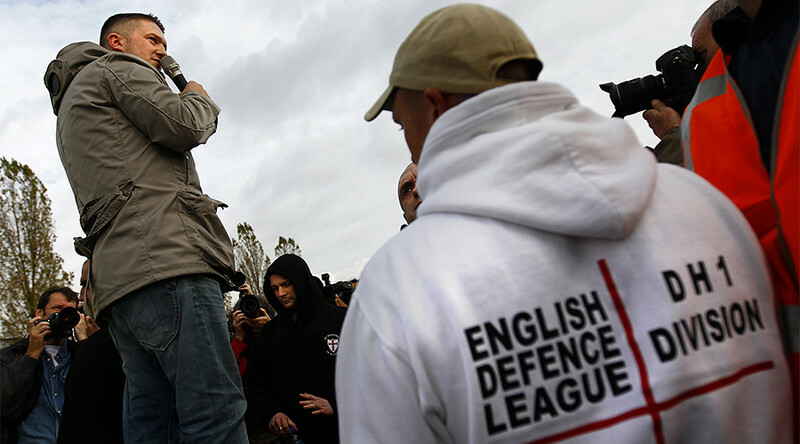 The decision to interview former English Defence League (EDL) leader Tommy Robinson on morning television in the wake of the Finsbury Park attack has led to accusations that the media is fueling right-wing extremism. Robinson – real name Stephen Yaxley-Lennon – was invited on ITV’s Good Morning Britain (GMB) only a day after a terrorist suspect drove a van into people leaving a mosque in North London. 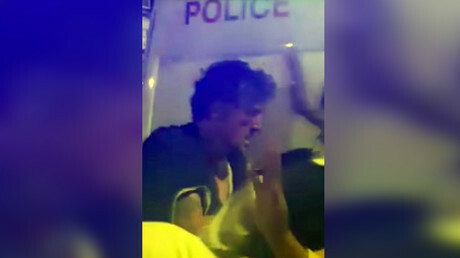 Darren Osborne, 47, who allegedly has a history of antagonism toward Muslims, remains in custody after the attack in which one died and 11 were injured. Robinson, who came to prominence as head of the far-right EDL, was invited on to debate the presenters on his views and the attack. Presenter Piers Morgan quickly branded Robinson a “disgrace” and a “bigot,” while Robinson flailed a copy of the Koran and said that the book was to blame. “Islam is an idea. A bad idea. Like Scientology. There’s no such word as Islamophobia. A phobia is an irrational fear. It’s not irrational to fear these things,” he argued. Social media users branded Robinson a hate preacher, just as bad as the extremist Muslim imams he opposes. ARE YOU TAKING THE PISS @SkyNews. Why have you got Tommy Robinson on your Station ? He deserves NO platform, he's an instigator of racism. No platform is a tactic used to stop extremist agitators being allowed to spread their message. If someone is a hate preacher, we should be restricting their access to pulpits, not giving them slots on national TV & radio. A spokesperson for Good Morning Britain defended the decsion on Tuesday afternoon. “Tommy Robinson was interviewed on Good Morning Britain this morning to be robustly challenged on controversial comments he made yesterday following the Finsbury Park terror attack, which were widely reported in the news," they said.